A one-year food import ban decree signed on August 6, 2014, by Vladimir Putin, the President of the Russian Federation, caused massive backlash among the European farmers, as well as foreign politicians and analysts. The decree bans the import of certain foods, such as beef, pork, poultry and chicken, fruit, vegetables, fish, cheeses, milk and milk-based products, from the USA, Australia, Canada, Norway and the EU member-states. The detailed list of products covered by the food ban was announced by Dmitry Medvedev, the Prime Minister of the Russian Federation, on August 7. Several days after the signature date, the officials removed certain products from the list, such as lactose-free milk, salmon and trout fry, seeding potatoes, onions, hybrid sweet corn and peas, as well as nutritional supplements. The Russian counter-sanctions caused a severe impact on exporters and food producers from Greece, Lithuania, Poland, Germany, Finland, Norway, Spain and other countries. The European authorities have announced a financial program to aid the farmers hurt by the food ban, such as producers of peaches, nectarines, other fruit and vegetables, and milk products; but several foreign analysts, as well as the food producers themselves, say that these measures will not be sufficient to help the companies. However, Juha Väätänen, professor at Lappeenranta University of Technology in Finland, suggested that the effect from the Russian sanctions was the strongest only during the first days after their introduction, while in the long term most European producers will be able to move to other markets. “Europe is the biggest exporter of food in the world, and sanctions by Russia are valued at 3% for the Europe for export. In Europe, the scale of sanctions is very small, but some countries are suffering a lot,” the analyst said in an interview to “PenzaNews” agency. According to him, Moscow’s actions will not push the EU towards lifting the sanctions, since the latter were imposed because of the Ukrainian conflict. “From the European perspective, the sanctions are linked to the situation in Ukraine. And now, when Russia declared sanctions at the European Union, the EU is not doing anything, because the situation in Ukraine hasn’t changed. So the EU is not responding to the economic sanctions from Russia, because Europe doesn’t see an economic problem: they see a political problem based in Ukraine,” Juha Väätänen explained. Stefan Meister, Senior Policy Fellow at the German Council on Foreign Relations, also argued that the economical effect of the Russian food ban on Europe was minimal. “As we all know, Russia is not really a crucial market: it depends on the area. Maybe for Baltic states, for Poland, this really is a key market, but for many other member-states it’s just one of the markets,” the expert said. However, he admitted that in certain cases, such as for the German milk and chicken producers, the food ban became a major concern for the next few years. Stefan Meister also suggested that the affected agricultural businesses will be able to move to other world markets in the future, which, according to him, is facilitated by a trend to become more economically independent from Russia, which is gaining popularity among the European businessmen. At the same time, the expert noted that Moscow’s actions proved that the Kremlin was not as defenseless against the sanctions as the West thought. “The effect, I think, was limited, but this is what Putin wanted — to show that he can also respond with sanctions, and a kind of surprise effect. One main point is the decision-makers will see that Russia is really willing to go on tougher countries,” he clarified. In this context, Stefan Meister expressed his hope that Moscow and Brussels are still willing to avoid the further escalation and find the way out. “If more sanctions get introduced, it will be even more difficult to solve this conflict, to talk to each other, to find compromises, to identify common interests. And I think the key problem is that the key area of common interest, which is energy and economy, will become key area of conflict between both sides, so that means there’s not much left to cooperate on, which, I think, would be a disaster for Europe and a disaster for Russia,” the analyst warned. According to him, both Russian and German authorities gradually understand the scale of damage the sanctions deal to their own economies. Because of that, the expert suggested that Moscow and Brussels sooner or later will have to find a diplomatic solution to the conflict, even though neither side wants to make the first step towards a compromise. “Sanctions are only a mean to show strength, to show power, but it’s not something to solve the conflict with. At one point, we will have to sit down, and then we will talk about interests and solutions. From the European side, the German side is still willing to step back with sanctions,” Stefan Meister said. At the same time, Arne Melchior, Senior Policy Fellow at the Norwegian Institute of International Affairs, questioned the unusual subject of the Russian counter-sanctions. “Why was food trade chosen for these sanctions? In a security conflict, you would have boycott for arms trade or ammunition or something else. So why was food chosen? Perhaps there are also industrial interests in Russia,” he suggested. According to the researcher, Kremlin’s actions hit many countries, including Norway, that was the largest food exporter to Russia in 2013. “For Norway, Russia had developed into the largest export market for seafood, so sanctions mean interruptions of the trade and, of course, reduction in demand, and the exporters have to find new markets for the fish. On the other hand, there is large international demand for salmon, so, perhaps, they are able to find alternative markets,” the analyst continued. He added that the food ban hit the Russian consumers as well, and caused a spike in demand for alternative food suppliers based in other countries. Speculating about the future development of the situation, Arne Melchior expressed his home that the economy relationships between Moscow and Brussels would normalize in the future and the conflict would not escalate any further. “Time has to show: if the sanctions are temporary, perhaps we can back to normal trading relations. Norway had very good relationship with Russia, it’s been developing over time, and we hope that the relationship will be normalized over time,” the expert said. Meanwhile, Arnaud Dubien, director of Observatoire Franco-Russe research center, noted that Kremlin’s actions made some of the Europeans rethink their vision on introducing new sanctions against Russia, as well as keeping the current ones. “No one expected such countermeasures, especially in this field, since everybody thought that Russia heavily depends on food imports. Nobody thought this to be possible,” he stressed, and added that the recent events made certain European politicians speak of the harmful nature of the current sanctions for the EU economy. Along with that, the expert mentioned that the empty space in the export market may become occupied with suppliers from Argentina, Brazil, Israel, South Africa and the others in a matter of several months. “Of course, there is also a question of price. These countries are very far from Russia, and transportation costs are high. Therefore, it is far from certain that apples from South Africa or South America will be in high demand in Russia, due to their high prices. But the grocery shelves won’t be empty, that is for sure,” Arnaud Dubien explained, adding that the current situation is highly favorable for quick expansion of Russian agriculture sector. Speaking of what may happen in the future, the analyst said that the current situation is deeply connected with a prolonged mutual crisis of confidence and the Ukrainian conflict, while the Russian-European ties depend on a set of variables beyond control. “It is hard to make any forecasts. The politicians in Europe, which is going through uneasy times in terms of economy and especially agriculture, are very much worried because of this. Unfortunately, a lot depends not on us [businesses], but on the Ukrainian events,” he said. However, according to the analyst, the Kremlin and Brussels still have to conduct talks in order to remove the opposing sanctions simultaneously. “I think that the EU and Russia must make a deal to remove the sanctions and the counter-sanctions at the same time. This is the only way it can happen,” Arnaud Dubien stressed. According to Alexey Portanskiy, professor at the Higher School of Economics and Senior Research Fellow at the Institute of World Economy and International Relations, the trade barriers may be removed as soon as in autumn 2014 if the appropriate conditions persist. “The most positive political result is that the sanctions may potentially be simultaneously removed, and certain independent political institution suggested that this may happen around October, if the situation in Ukraine doesn’t get worse,” he explained. From the analyst’s point of view, the food ban had no serious effect on Europe as a whole; however, the farmers in certain countries, such as Greece, suffered big losses. “As you know, the European Commission already said it will aid the farmers. However, this aid won’t cover all the losses, but nothing can be done about it,” he added. At the same time, Alexey Portanskiy noted that the Russian food producers will find it difficult to effectively replace the foreign businesses on domestic market, and one of the reasons behind it is uncertainty about the duration of the food ban. “The ban is currently said to last one year, but it is very important for any kind of business, especially in agriculture, to plan it forward. A single year is not a good period of time for planning, so it would be difficult to schedule your production in the current conditions,” the economist explained. According to him, the situation is also made worse by several other unresolved issues in agriculture, such as farm liabilities and property ownership warranty, which stifle the growth of Russian agricultural complex. In the long term, according to Alexey Portanskiy, prolonging the sanction conflict would be hurtful for all the sides. “This is a general rule of the economy of the 21st century: trade benefits all the sides, and trade obstacles harm all the sides. So it’s impossible to say that somebody would win: everybody would lose,” he stressed. Arkady Arianoff, Chairman of the Belgian-Luxembourg Chamber of Commerce in Russia, also noted that the negative consequences of the Russian counter-sanctions already affected the farmers in Spain, Greece, Belgium, Poland and other countries, who have no choice but to give their produce away for free or simply destroy the perishable goods. For example, only in Belgium 3 000 people may lose jobs because of the food ban. At the same time, according to the analyst, the country suffered a financial deficit of €500 mln, while the financial aid from the European Commission will only amount to €125 mln for all the 28 EU countries. At the same time, Belgium may lose as much as €1 bln in the long term, while the European Union, according to the expert, may suffer up to €25 bln of losses. I hope the sanctions will end by the end of October. It will depend on the situation in Novorossiya. We depend on the USA power, and it is a catastrophic situation for the EU. It is the West that caused the crisis in Ukraine from last December, and it is the West that unwittingly brought about a watershed event for the global economy. Their reaction to the Ukrainian crisis has served as the straw that broke the camel’s back and motivated Russia’s decision-makers to accelerate the country’s economic diversification,” Arkady Arianoff criticized the Western politicians. “I don’t know who will remove the sanctions first, but I hope it’s not Russia, because those responsible are the EU, the USA and criminals of Kiev,” he added. According to his colleague Oleg Prozorov, Head of the Moscow Office of the Belgian-Luxembourg Chamber of Commerce in Russia, all the EU members will feel the effect of the Moscow’s counter-sanctions. “The Luxembourg business community that has ties with Russia (Luxembourg is the third biggest direct investor in Russia) is displeased with the exchange of the sanctions,” the expert exemplified. According to his evaluations, the sanction conflict will lead to substantial losses for the EU agricultural industry. However, the analyst expressed his hope that the current trade barriers will soon be removed. “We believe that reason will soon prevail: it is obvious that such policies hurt all the parties involved. You cannot destroy in an hour what had been built throughout the decades. 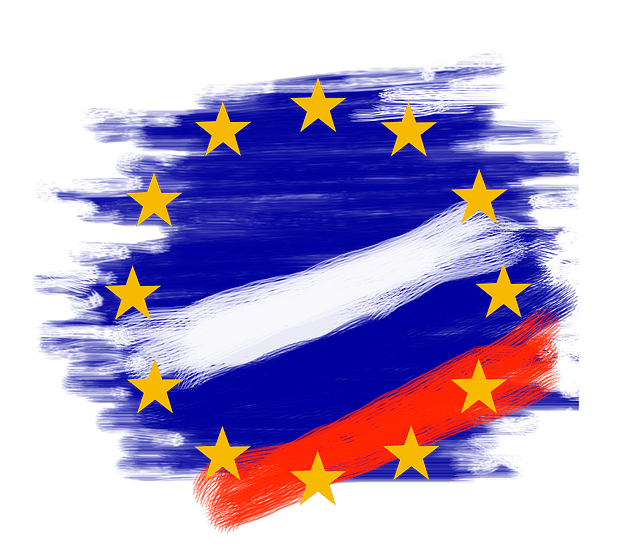 We hope that the EU will think better about the consequences of its thoughtless policies and refuse to blindly follow the orders from across the ocean,” Oleg Prozorov concluded.